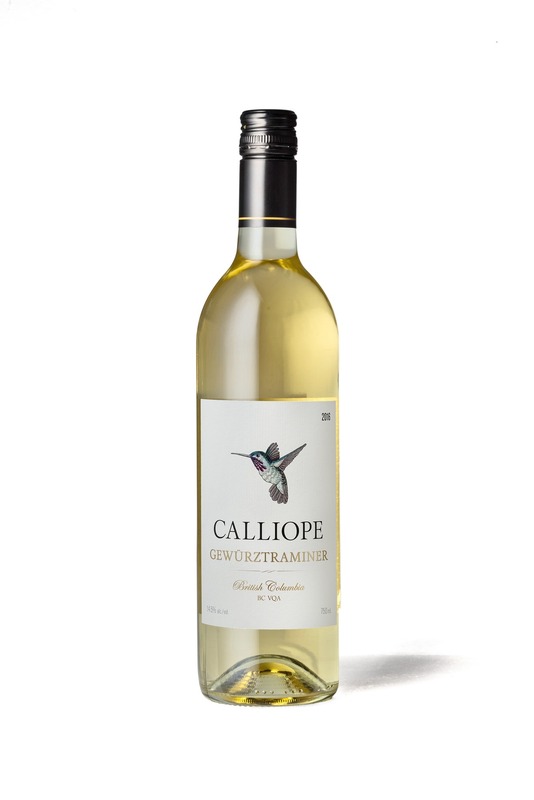 A lively and fresh Calliope Gewürztraminer. The nose show classic floral rose petal notes, some orange sherbet, lemon, pear, apricot and baking spices. Just off-dry on the palate and balanced by medium acidity this medium bodied wine has nice freshness and vibrant flavours of citrus, rose petals, poached pears and finishes with intense Turkish delight and clove spice. Try this with lightly spiced pakoras or an apricot, blue cheese and rocket salad. 2016 was another amazing growing season. Spring arrived early: sunny and warm with just enough rain to boost vine canopy growth. July and August added ideal summer heat, allowing the grapes to ripen slowly. Lively and aromatic white grapes were picked during a dry September month while red grapes benefited from warm days and cool nights fully developing their flavours while retaining their acidity. The grapes for the 2016 vintage were harvested by hand on October 1st from Oliver, Black Sage. The clusters were hand sorted and dropped into a pneumatic press for a gentle extraction of the juice. The must was then drained through gravity flow into tanks where it settled for 24 hours. Fermentation under temperature control (13-16 Celsius) lasted 2 weeks, leaving just a touch of residual sugar that rounds out the mouthfeel. At completion, the wine was allowed to mellow for 6 months in stainless steel tanks. Prior to bottling, it was filtered, fined and stabilized.